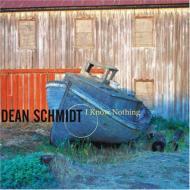 Gathering a diverse collection of his favorite Seattle musicians, bassist and composer Dean Schmidt creates a rich sound-scape of original Latin-tinged jazz. As a member of several of the west coast's premier Afro-Cuban and salsa bands, Schmidt brings a powerful groove and an eclectic aesthetic to his compositions and group concept. Featuring trumpeter Thomas Marriott, saxophonists Jim Coile & Brian Kent, and pianist Julio Jauregui.